This hair is perhaps the most beautiful natural curls you will find in the industry. It is naturally soft but course in texture. The hair is authentic Burmese curls from the heads of women of Burma .The curls are natural and the hair is virgin remy (cuticle hair). 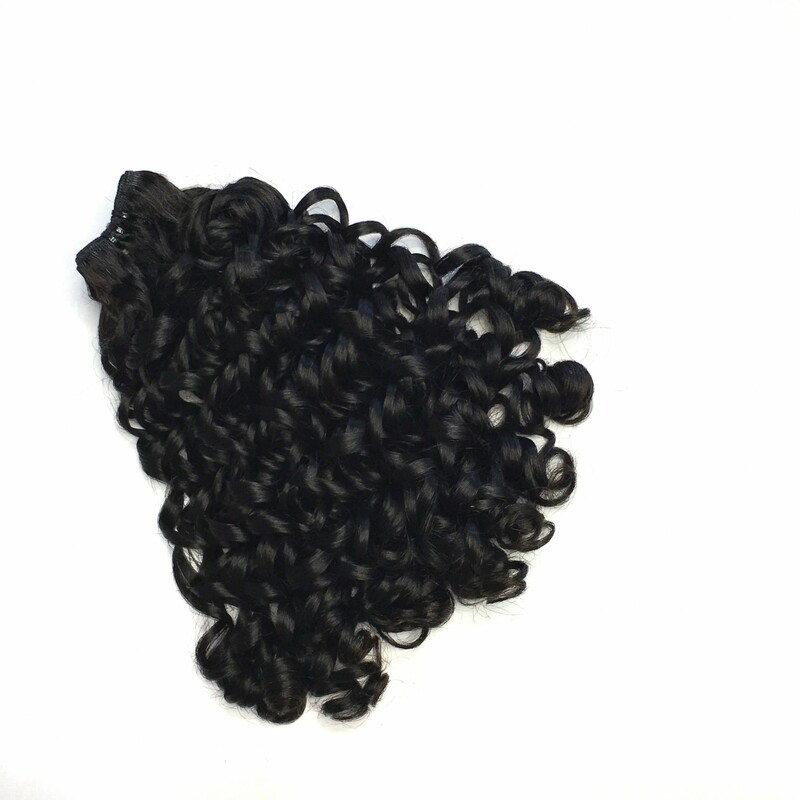 Our Burmese curl is available in natural colors; black and brown and it is machine wefted. Our Burmese curly hair is sold in 4oz bundles and The hair can be reused over and over again with proper care.